When it comes to fine tailoring, the landscape is awash with brands that profess to using the best fabrics and have an artisanship unrivalled by perceived competitors. But how do we actually know that what we are buying, often at a price that could rival a monthly mortgage payment, is of the very best quality. It’s not a case of brands trying to pull the wool over our eyes – excuse the pun – they are fully signed up to the methodology and creation of the products they sell. What’s interesting is how are they communicating to the consumer about the intricate detail that sets their product apart? 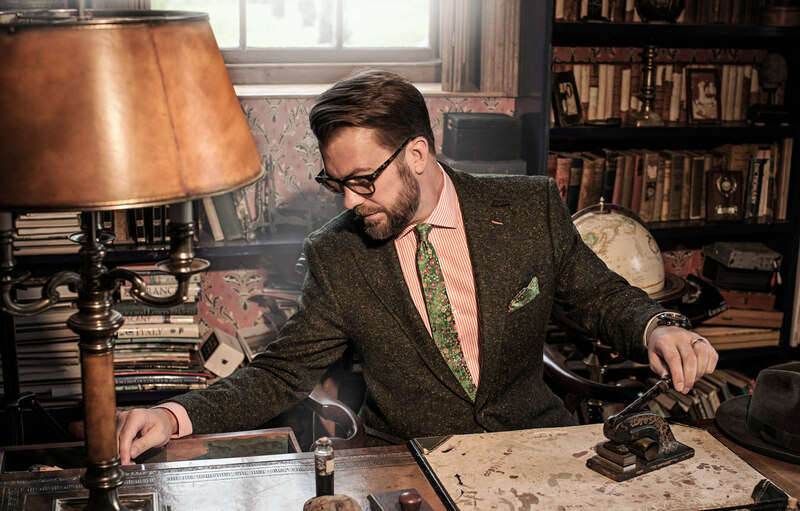 At I-AM we recently started work with a high-end tailoring brand from the Midlands called Clements & Church. With stores across that region and with an online re-brand preparing to launch in February 2016, they produce a range of suiting, separates and accessories that cater for a market that enjoys vibrancy, colour and style. And with a similar view on the quality of their product to many other brands, the team believes that they go the extra mile in researching the very best fabrics, and from the very best mills in the UK and Italy, but they also lay equal weight on service and the ability to find the customer’s perfect fit. Offering a fresh perspective, Clements & Church present an approach that is fundamentally based on education and retention, believing that their knowledge can be passed over to customers, which in turn garners a relationship with the customer based on trust. It sets a new benchmark: a brand willing and actively encouraging the customer to understand more about the processes and fabrics used to create product. Hand-in-hand with that is a tailoring service that has utter pride in finding the perfect fit based on body-shape. So not driven to sell, but by perfection and confidence their own abilities. Of course the end goal is always to turn a profit, but it’s quite something if you can shift the focus from the ‘hard sell’ to one of education and artisanship. It is this thought process that customers can themselves buy in to, not for a flash one-off conversion, but for a lifetime. And this is where it would seem that brands such as Clements & Church have it spot on.